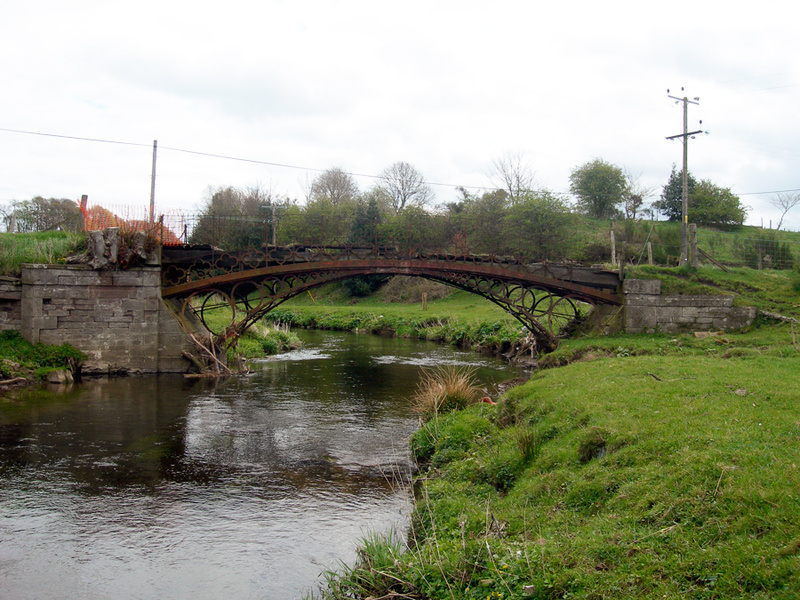 Linlathen East Bridge is probably the oldest iron bridge in Scotland, with an estimated date of construction of 1796. 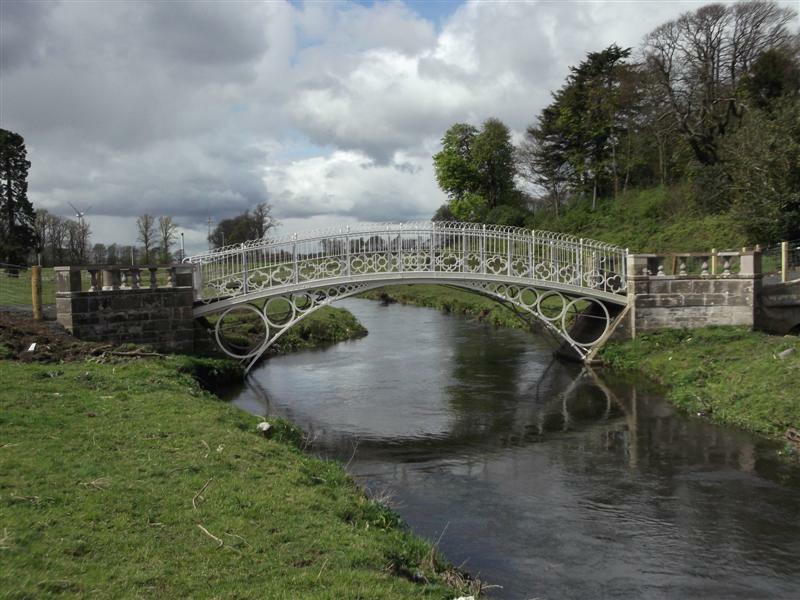 It used to provide access, over the Dichty Burn to the mansion house of the large local estate. 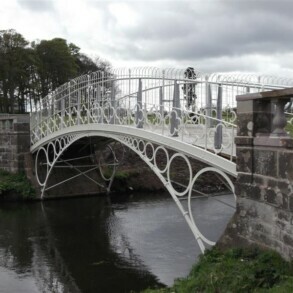 The bridge was in a poor state of repair but its importance, in a Scottish and European historical context, was recognised by Scottish Heritage and Dundee Council. 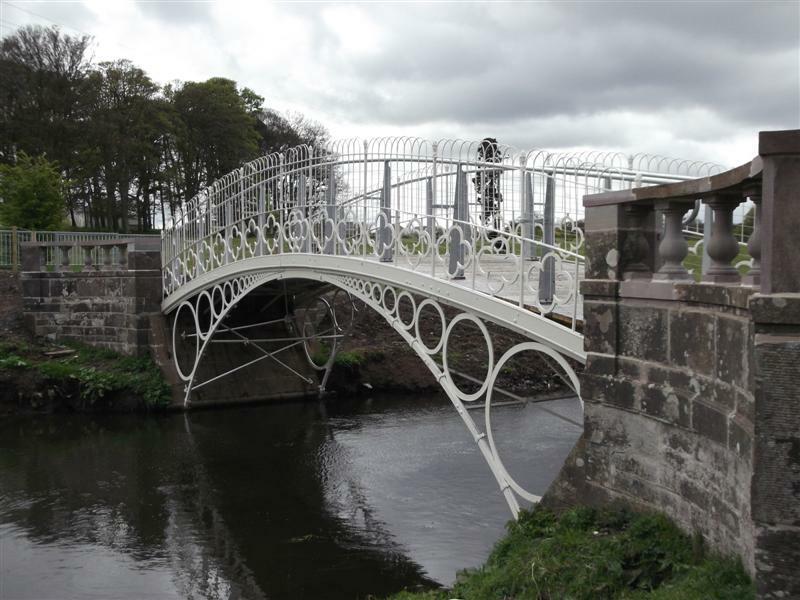 With the building of a new housing estate and funding from the developer and Scottish Heritage, a restoration project was initiated. 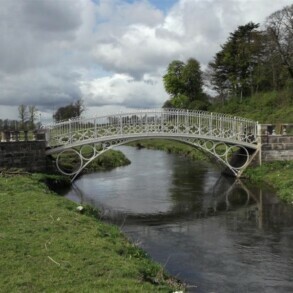 An initial digital survey was made of the bridge. 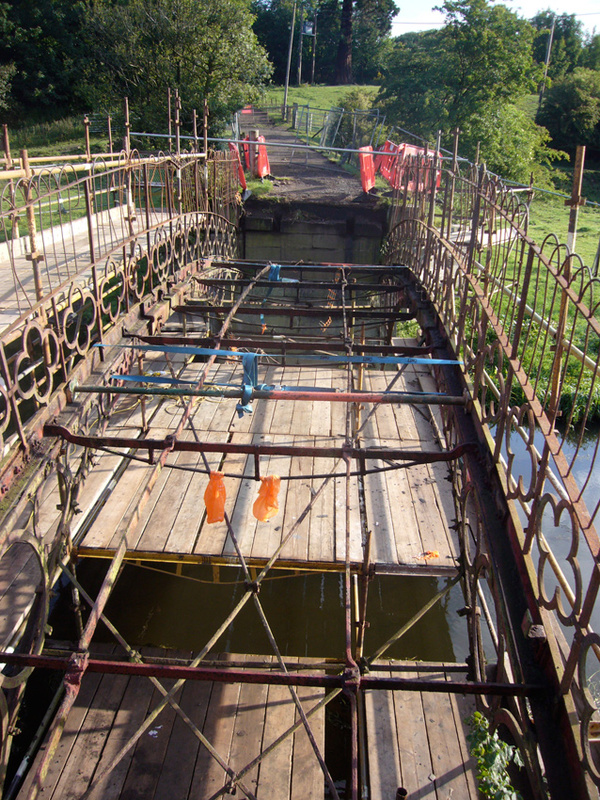 All items were tagged and the bridge dismantled section by section, with the aid of a hiab. 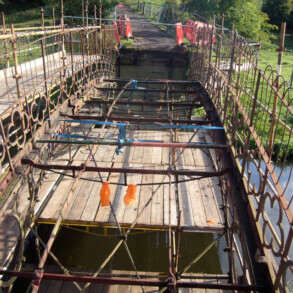 The bridge was mainly bolted together and each bolt was removed by hand in order to be re-used, where possible, in the reassembly. Lead had to be melted out of the wall fixing sockets, and packing removed, in the dismantling process. 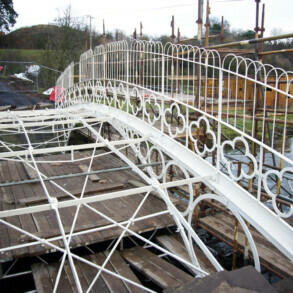 The bridge was removed to our workshop where the wrought and cast iron was thoroughly cleaned (and built up where required), treated and painted. 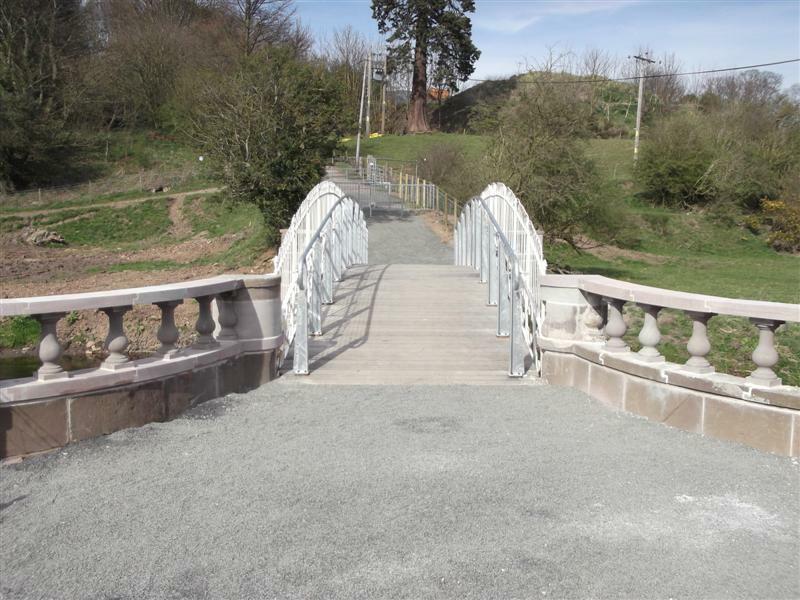 New centre and quatrefoil castings were made along with newly forged handrail hoops. A number of new nuts and bolts were specially made to replace those that had been sheared or were corroded beyond redemption. 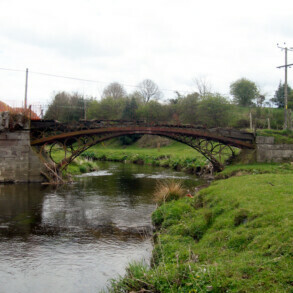 The bridge assembly involved the use of two hiabs to safely span the Burn. 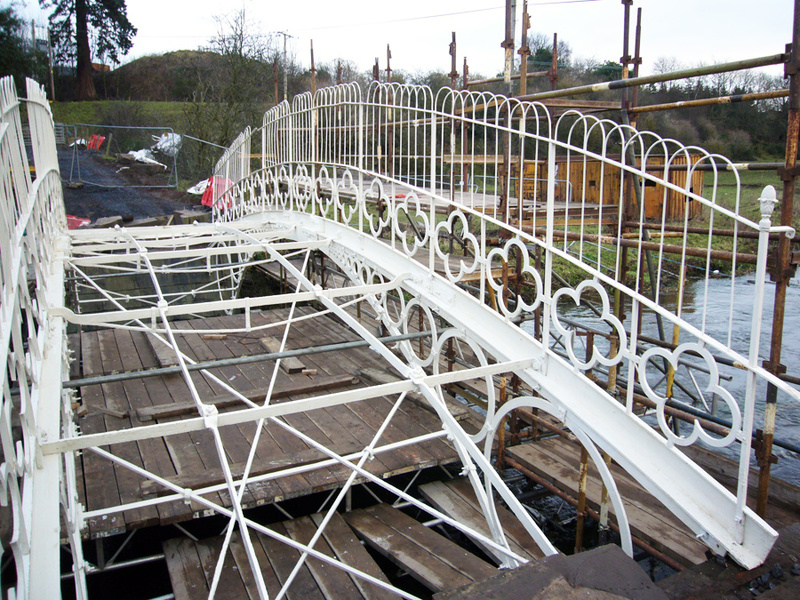 Cast and wrought metal fixings were insulated from each other and joints protected with lead putty. 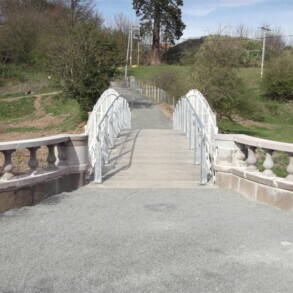 Re-leading and a final coat of paint completed the works.